These cats have their humans trained VERY well – whenever they want a treat, they use a bell to get their humans attention and are waited on hand and foot! 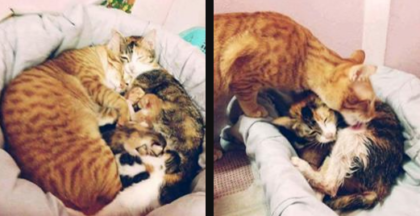 – These cats never miss a snack, because they know what to do! Sometimes when the treat doesn’t arrive at a proper time, the bell is rung twice until the service comes with the treat! – Whoever taught their cats this trick just cracks me up – what a funny thing for any cat to do! 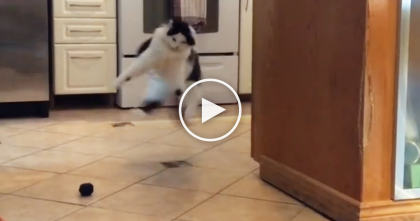 This will be the best thing you see all day, hahahaha… Just watch the video! 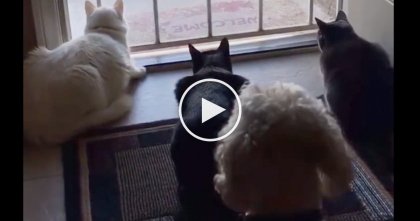 SOO funny, I can’t believe they taught them this—SHARE this story with your friends if you enjoyed! 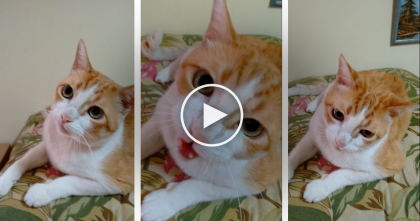 He’s Singing A Song To His Cat, But The Response He Gets… I Can’t Believe It!